My initial plan here was to post my translations of Słownik Geograficzny descriptions of the towns and villages directly relevant to my family origins: Radun, Szczuczyn, and Iszczołna. Over the past two weeks, I've changed my plan and decided to translate additional entries and include them here. This may seem like I'm veering off-topic, but I don't think so. When I tackled Radun and Szczuczyn over a decade ago, I was working with the Polish language for the first time since I was a teenager. I struggled with the vocabulary and the syntax, and am still grateful for the graceful editing and polishing Fred Hoffman brought to those translations. Since the late 1990s when I got involved in genealogy, I have done a variety of things to recover the Polish language skills I was fortunate to acquire in childhood. I read out loud in Polish (because it was, for me, always much more a spoken language than a written one) so that I can see the connection between how words sound and how they are spelled. I took a year of college-level Polish taught by Professor Jonathan Shea, whom I admire greatly as the most knowledgeable Polish genealogist in the United States. I spoke Polish during my travels to Poland and Belarus (Lithuania, not so much!). I speak Polish as the opportunities arise here in the Polonias of New England. I sing kolędy, beautiful Polish Christmas carols, year-round (though terribly off-key, and not where anyone can hear me). The point is, I can translate Polish text to English a bit faster now. I still rely very heavily on Polish-English dictionaries, especially the worn old Stanisławski dictionary I inherited from my uncle John Prokopowicz. And I am still very grateful for any suggestions to improve the sense or fluidity of my translations, which are sometimes awkward and stilted. Language detailing 19th-century (and earlier) culture is especially challenging, since some practices, titles, occupations, and customs have not survived into the 21st century, and they defy easy explanation. Another reason I have decided to include additional Słownik translations here is to provide a bigger picture of my ancestors' lives and times. Not their individual lives—they were all peasants, and not the kind of people one finds immortalized in history books—but the region they lived in for generations and its changes over the centuries. Reading about one single town is inadequate to understand the region's history. The more, the better. For example, this week I translated the Słownik entry on Wasiliszki. This is a parish a few miles north of Szczuczyn, and the home of my maternal great-grandmother, whom I have not yet introduced here. Most of the text was similar to what I'd encountered with the other towns: population statistics, brief description of the land and resources, names of founders and officials. And at the end, a one-sentence reference to the Second Swedish War (also known as the Great Northern War), mentioning that Swedish King Charles XII and his army were camped nearby in Zołudek in February 1706 while Polish King Stanisław Leszczyński was in Wasiliszki accepting a declaration of surrender from some Lithuanian nobles. Wow. Small towns like these seldom get mentioned in big histories. This started my mind racing. I frankly know nothing about the Swedish-Polish wars, so first I Googled the topic and then yesterday I checked an armload of books on Charles XII out of the Central Connecticut State University library. In all that I have now read about the battles, skirmishes, and stand-offs that occurred in this region in the early 1700s, I have found numerous references to Grodno but none identifying specific smaller locales to the east. All of the events on this front are described in connection to Warsaw, Grodno, Wilno, and other sizable well-known cities. "She was a seamstress for the czarina"
I'm now working on a Zołudek translation, and my curiosity has been whetted enough to make me want to translate Słownik entries for several other Lida area towns. Who knows what tiny but fascinating bits of information they will reveal? One type of data Słownik offers at length concerns property ownership: the names of nobility who owned estates and sometimes whole villages or towns, and the ranges of time they owned them. Magnate records (at least, the few I've seen) tend to provide a full accounting of all the lands, buildings, livestock, resources, and miscellaneous items owned within an estate. And sometimes they identify by name the peasants and other laborers who worked in those fields and homes. It may be that research into magnate records for Szczuczyn, for example, might yield some information about my family. My ciocia (aunt) Pauline, who was born there, used to talk about a cousin of my babcia Stefania's being "a seamstress for the czarina." Stefania came from a long line of women who were very skilled in all types of needlework and who passed those talents along to us, so someone working as a seamstress seemed quite plausible. But I always questioned the czarina connection as fiction or exaggeration, since I knew my family lived nowhere near the czar's palace in Russia. Now I understand that ciocia Pauline was probably referring to some szlachta estate in the Szczuczyn area. Find the magnate, find the peasant—or so I hope. Yet another reason to acquaint myself with the micro-history of the Lida area is that I still do not know the origins of my paternal grandfather's paternal line. Although my grandfather Julian Prokopowicz was baptized and raised in the Radun area, it appears likely that his father's family was earlier in some other parish. I have found Prokopowicz records in virtually all of the Lida area parishes that I have explored. I have not yet figured out if and how they all connect. So until proven otherwise, I claim the entire Lida area as my family's home. I love Lida. In that regard, I am just about ready to post my 1998 translation for Ejszyszki. I feel a strange connection to Ejszyszki (as I do with Sweden! ), even though I have no evidence (yet) that I have any family roots there. But that is another story altogether, and one I hardly understand myself. Hi Cynthia, I appreciate your writing! Your comment about your great-grandmother seemed to trigger some very old memory for me. At least, I think it's a memory ... what popped into my mind was shopping with my babcia Stefania on Millbury Street in the early 1950s. She crocheted incessantly, and bought her materials at two stores there, Mrs. Goodwin's (across from Buyniski's drug store) and another, a couple blocks closer to Kelley Square. For some reason, I associate the name "Mrs. Bulak" with these shopping trips. Do that make any sense to you? Wow! Helen's, yes! I wish so much we could have had a photo of her or her store in one of our books! We had a really difficult time finding photos of the stores, businesses, social gathering places, and people who made Millbury Street the heart of the Polish neighborhood. I will be spending lots of time exploring your blog--just took a quick glance at it. Very cool to read another perspective on Worcester's Polonia and other ethnic heritage as well. May I post a link to it here? I'm so glad to make contact with you. I actually met you briefly at the WPL genealogy conference last year! Please feel free so post a link to my website. And even though I have a French last name, I am really a Polish girl at heart! I hope you'll share that article on your blog at some point. So great that the Telegram did a story on Helen Bulak and her store on Millbury Street! I'd love to read it. It's great to be in contact with you, Cynthia. I've added link to your wonderful Heritage Zen blog here. Bardzo dziekuje! 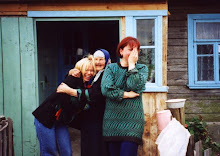 Basia, I just stumbled on your blog while doing one of my perpetual searches on my "unusual" Polish maiden name: Doda. In my endless searches, I have discovered that Doda is a common surname in Albania! (A former finance minister was Viktor Doda.) And it's a common surname in the Punjab (also spelled "Dodda"), where Dodas are a clan in the Arora subcaste (Vaishyas); Dodas (and Doddas) are also prevalent in Karnataka, in and around Bangalore! And there are lots of Dodas in Romania, too. That big Polish census, done in 1990 or 1991, lists about 250 Dodas in all of Poland, but there are tens of thousands of Dudas. My late dad, Kasmir, was born in Bydgoszcz (1922), but his family moved to that town, they weren't from there, and the history on my Doda side is completely thin, whereas my mother's side, Zwolak and Tomaszek, have deep roots in the Lublin area. Well, it's the tiny wee hours so I must sign off here, Basia. Geneological searching on the Web can be addictive. My best regards, Basia — your roots work is so impressive and enlightening!